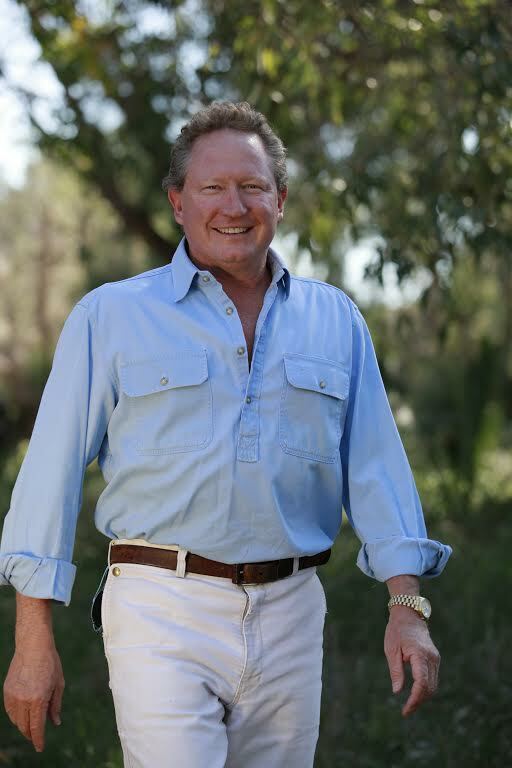 The biggest philanthropist in Australia, mining magnate Andrew Forrest, shares his views on the future of giving, the media, Australia’s tall poppy syndrome and religion as this week’s Changemaker. He spoke exclusively to Journalist Xavier Smerdon. The sounds of magpies squawking in the background can be heard across the phone line as Andrew Forrest calls from a decommissioned old people’s home in the Perth suburb of Dalkeith. The building sat vacant for 25 years before Forrest took it over, tearing down barbed wire fencing and boards across the windows to transform it into the new centre of philanthropy for his Minderoo Foundation. It is symbolic of the way Forrest approaches many things in life, from his efforts to transform philanthropy, to the way he tackles the gap between Indigenous and non-Indigenous Australians and the global issue of slavery. The Chairman and CEO of Fortescue Metals Group, Forrest and his wife Nicola became the first Australians to sign Bill Gates’ and Warren Buffett’s Giving Pledge in 2013 when they committed to give $3 billion to charity. He also authored the Forrest Review, which aims to create parity between Indigenous and non-Indigenous Australians; founded the Walk Free Foundation and the Global Freedom Network which brought together leaders of the world’s faiths to fight modern slavery. What do you think some of the greatest challenges facing Australia and the wider global community are? It’s a really broad issue. I think in some ways Australia is still a very lucky country. We’re producing beautifully in our economic region with highly fertile soils and geology. We’re in pretty good shape. But we’re becoming complacent about things which do impact upon us long-term. I think engagement with Asia – and that’s not only Asia where governments traditionally tend to concentrate like Japan – engagement with Asia is absolutely critical and we cannot take that for granted. If we use China for example, their ability to have a greater impact on the standard of living of every man, woman and child in Australia is a multiple of (the potential) Japan had (when engaging with Australia as a trade partner) and Japan had a very real impact. I think we shouldn’t be caught in this Japan and America balance of power politics with China, we should have everyone as our best friend and not pick sides. That would be one comment, the second comment is political stability. That is a reputation which this country has earned over 100 years and we don’t want to start trading it in the last couple. I would also like to say that it’s important how a nation treats its least privileged, and that’s not by throwing money, that’s actually giving up on people if you do that. How a nation treats its most vulnerable and least privileged is a judgement of the quality and the heart of its society. Before everyone reaches for the chequebooks I’d say, ‘no, no, that’s what leads to the dependency which you see all across vulnerable Australia, Indigenous and non-Indigenous’. What we need to do is actually remove the causes of alcohol and drug dependency and vulnerability and it fits strongly with the challenges which it takes for a vulnerable Australian to become fully independent. That’s why I wrote the 256 page Creating Parity review, which we read unofficially is going to be largely adopted, but they’re policies which were aimed to solve the Indigenous disparity completely as a holistic approach, but each policy has to be applicable to all other aspects of vulnerable Australia. That was the condition of the Opposition to support creating parity. I’m hoping that the Government adopts it and that the Opposition supports it because it is the type of bipartisan move for overall public good that deserves being pulled outside of the political arena. I also think that the growth of religious extremism in any form is dangerous to any and all societies.We really must take religious extremism, such as was so vividly painted on society by Islamic State, we must take those threats seriously and react to those threats. There is no doctrine in any holy book that stipulates that one person is superior or loved more by God. Therefore there is no basis for violence or genocide anywhere in the world to have a religious orientation. I wanted to touch on one thing you mentioned there. Obviously you’ve got your own report out there but you would have seen the Closing the Gap Report which was released recently and revealed that Australia is not meeting many of the targets that we’ve set ourselves. What did you think of the results of that report and what do we need to do going forward? I think that was pretty fertile ground to reinforce what Creating Parity states, that only seismic change has any hope of ending disparity. If we keep on chiseling away at it and doing what I indicated to you earlier, throwing money instead of heart and leadership at issues, giving up on our fellow Australians by just writing them a cheque, if we keep doing that then we are leading to greater isolation and more empty schools. We’ve been given a statistic that the West Australian Government alone spends some $50 million on schools with hardly any or no students and if they’re doing that, be assured that every other State is in the same boat to a lesser or greater degree. That means that wholesale failure is evident in existing services and policies and we must do an about-face. You’re probably known equally as much for your philanthropy as you are for your business success, so I wanted to ask you what motivates you to give to certain causes? We would really love to help everyone. We get asked to support probably hundreds of worthwhile causes and I’m sure we’ve disappointed, and in some cases, although I don’t think it should, offended people who we’ve been unable to help. People who want to restore great buildings or do up museums or help here and there or back certain sporting events. In the end we’ve decided that we’re going to do what we do in business and that’s strive for the greatest value and benefit possible [that] we can for the amount of money we have available. Where that’s led us is to help the most underprivileged and the most unrepresented people in Australia, and there’s clearly vulnerable Australians, and in the world, which is clearly the unfortunately rapidly growing modern slavery community which now numbers some one and a half times Australia in population. That’s where we’ve decided we can get the greatest leverage for our leadership which is our time and our capital. So that’s what we’re pursuing most vigorously and it’s driven by creating the greatest good we possibly can with limited capital and with limited time. We focus on that to the unfortunate disappointment of so many other really worthwhile causes. A lot of philanthropists don’t disclose how much they're giving away or what causes they’re supporting. Why did you choose to go public with your philanthropy? The reason for that is a mental shift by a gentleman called Malcolm McCusker QC who became aware of the millions of dollars we were donating as anonymous donors to causes all around Australia and gave us very firm advice. I said we’ve always had a view that you don’t contribute in a philanthropic way for any expectation of benefit so we’ve stayed anonymous. He repeated the question, ‘what benefit beyond the monetary impact is your example?’ And I said 'none'. He told me ‘therefore you're denying the society you serve the privilege of encouraging a philanthropic community within its heart and I really strongly think Andrew you should think about that and think about setting an example as well’. So we were persuaded to do that and we did it tentatively at first in very small steps at first. Malcolm McCusker, who actually went on to become Governor of Western Australia, now serves as a Director on Minderoo’s Board, so I was clearly moved by his insights and advice. I actually think he’s correct there’s a massive philanthropic powerhouse that pumps in the heart of almost every American yet here we still suffer a tall poppy syndrome. I remember the first time I came out with a donation, and I had to do it because it was a donation of shares in a public company and I was Chief Executive. So there was no choice if I wanted to give shares according to ASX rules, even without any reward of any type, I had to declare it. I remember the journalists immediately tried to link it to June 30 and tax. They said I gave such a fraction of my net worth that this must be a tax driven decision. I’d discussed with other philanthropists that I was going to go public and they were very interested and they said ‘well won’t it be interesting to see how the press takes it’. That press was so negative, I got phone call after phone call saying Australia blows off the head of its tall poppies and that’s why no one wants to stick their heads out because everything is viewed with such cynicism. I think that’s just a type of lazy journalism you know, it’s much easier to write badly than it is to write good. It’s probably easier to sell papers if it’s bad news rather than good news. It’s unfortunately created a culture in Australia which isn’t encouraging back then. Now I feel that it’s changing, and changing quite quickly. You can see just in the results of the telethon in Perth that people are coming from all corners now to give and previously they weren’t. I know that’s spreading across all over the State, and Australia I feel is on the road to becoming a much more philanthropic and caring social society. Just expanding on one of your points there, the benefit of your example. 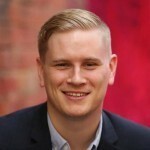 You probably have connections with other leaders in the mining community, so do you think its your place to encourage them to give on the scale that you are giving? I do, and I certainly try. But essentially giving is an intensely personal decision. I mean if you’ve already put some hard yakka and effort into making this capitol, giving it away can seem like quite an effort when you’ve put so much into making it. I appreciate it’s an intensely personal decision. I always encourage it because I feel it’s a way to live a useful life and that’s a core principle of mine, to enjoy life and be as useful as you possibly can. What’s the greatest rewards that you get out of it? Business is so much more fun. I think the fact that it ticks that part of my life which is to be useful. I feel I can be a lot more useful in philanthropy to my community than I can in business. I really loved what I did in business. Fortescue employs some 15,000 people and has paid million of dollars in taxes and royalties and dividends and I think that’s fantastic. But on the whole I think I can serve the world that I live in by providing my time and energy and capital to philanthropy so that’s what I do. It could be an unwise choice but I’m stuck with it. So what inspires you to keep on giving and to try to tackle these big issues? We safeguard capital while we’re on earth but I think we should have the view that if you have or come in the way of capital that you should manage it as responsibly as you can, appreciate that you’re holding it but for a limited time and that if you have a tall capital you should put it to its best possible use. Now that may well be in business but it can also be in philanthropy and that’s my key driver, to enjoy life and be useful. What have you learned since becoming a philanthropist and signing on to the Giving Pledge? What’s been the biggest surprise? Is it easier than you thought it would be or is it much more difficult? Giving money away is actually not hard at all. Putting it to work usefully is much harder. I do encourage other philanthropists very energetically that if they’re going to give money away then go that extra step, and I’ve actually written this into our own pledge. That pledge was really written for the audience of people like me and when I was contemplating joining the Giving Pledge we would seek inspiration or definition of why we were doing it, and even if we decided to not do it, by reading the pledges of others. It was very helpful and we wrote our pledge very directed at that future audience who may consider joining the Giving Pledge and said very firmly the leadership and the judgement and the energy and everything else that taught to you to accumulate the wealth that you are now considering giving away is wonderful, and hearty congratulations, but now consider taking that really significant extra step, the one which will give your life full value, and give of your time but with your capital. The community needs that leadership and that judgement and that energy to continue to change and transform itself so we remove vulnerability from the world and we go after the big challenges facing our world with the best minds and the best leaders we possibly can, and they certainly do not always reside in Government. What would you rank as your greatest achievement, either through your business, or your philanthropy or your personal life? What do you mark down as the best thing you’ve ever done? I don’t know. I think in terms of potential, I’m really delighted with starting Walk Free. That came to a temporary head before immediately moving onto bigger challenges with the drawing together the great faith leaders of the world in the great religions who never, by the way, talk to each other, never sign public agreements between them, in the Vatican last year. Walk Free was directly responsible for bringing a Grand Ayatollah [of the Shia denomination] into union with the Grand Imaam [of the Sunni denomination] and to bring them in with Christianity. It was the first time that a Grand Ayatollah had ever met a Pope. It was the first time the Islamic religion had ever reached a public written agreement with Christianity. It was the first time Sunni had ever reached an agreement with Shia. It was the first time that even the Christian and Jewish communities had come together between Anglican and Catholic and Jewish just prior to the reaffirmation. So I think that’s an interesting note but I think getting people out of slavery and encouraging governments through creating the environment where they feel safe and motivated to end slavery in their own countries, that is the achievement which we’re aiming for along with creating an Australia without an Indigenous disparity, which is something I would like to see in our lifetime and if we fail, to have known looking back on our lives we did everything we could to achieve it, then that will be the thing for which Nicola and I are most proud.